I was watching an episode of The Best Thing I Ever Ate on the Food Network and saw an episode called "Meat-Fest." 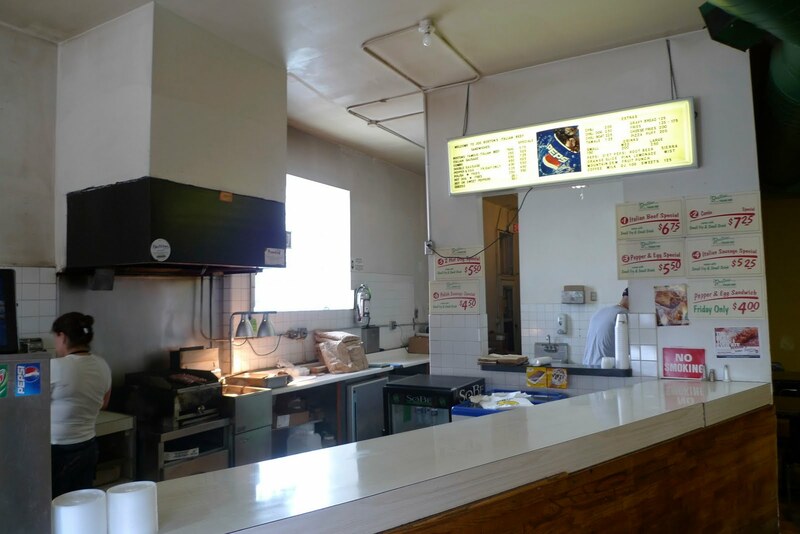 Ray Lampe, aka Dr. BBQ, featured the Italian Beef and Sausage Sandwich from Joe Boston's. From the show, the place looked like it would be in the middle of nowhere, like a random truck stop in the booneys, middle of nowhere. Turns out, I live less than a mile away from it. lol. 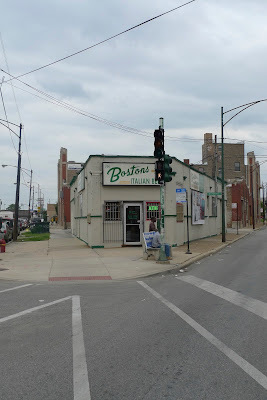 Joe Boston's is in the Humboldt Park neighborhood, where Grand Ave and Chicago Ave intersect. Yup, those two streets actually intersect. 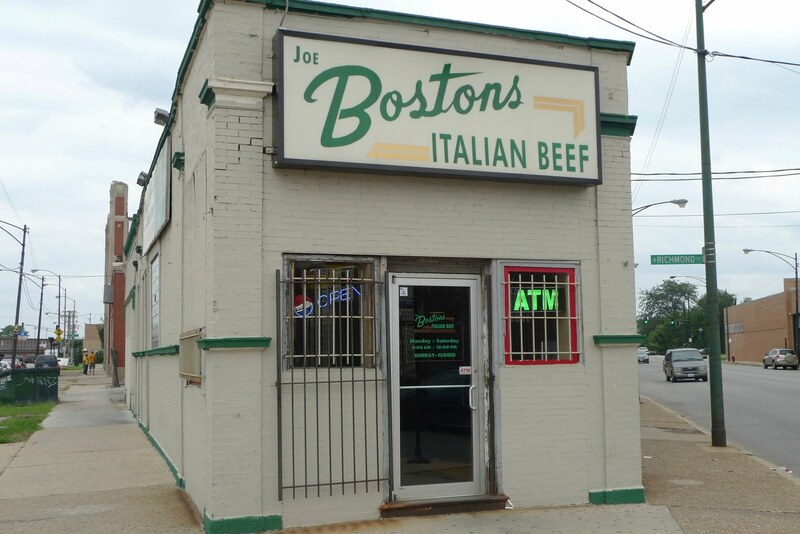 Since Jung's arrived, he's been on an Italian Beef kick. He took a quick liking to it and set out to try as many as he could. I've been in Chicago for a few months now and I'll be honest, this was my first time trying an Italian Beef sandwich. I think I had Al's Beef on my list of places to try, but clearly I was in no hurry. Well, it took a little nudge from Jung and we were off on our very own Meat-Fest quest. Here's what it looks like from across the street. 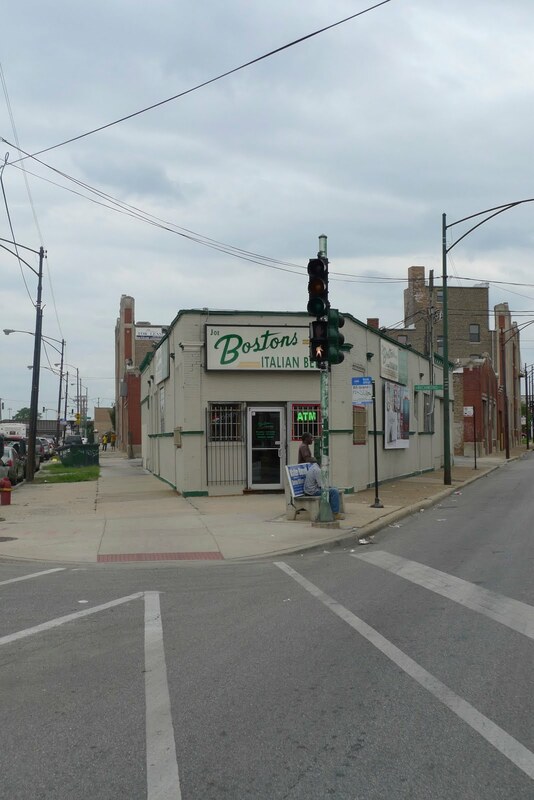 You can't miss it, it's right on the corner of Grand and Chicago. Let's just say I wouldn't walk here at night by myself, but on a Saturday afternoon, totally harmless. Inside, we were the only customers, it was Saturday morning after all. I got an Italian Beef combo dipped with hot and sweet peppers. Jung got the Italian Beef and Sausage combo dipped with hot peppers. Here's a link that Jung found on the proper way to order an Italian Beef sandwich. 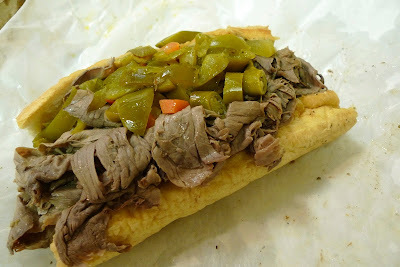 Basically they take the Italian Beef, put it on a roll and dip the whole thing in the au jus sauce or beef juice. 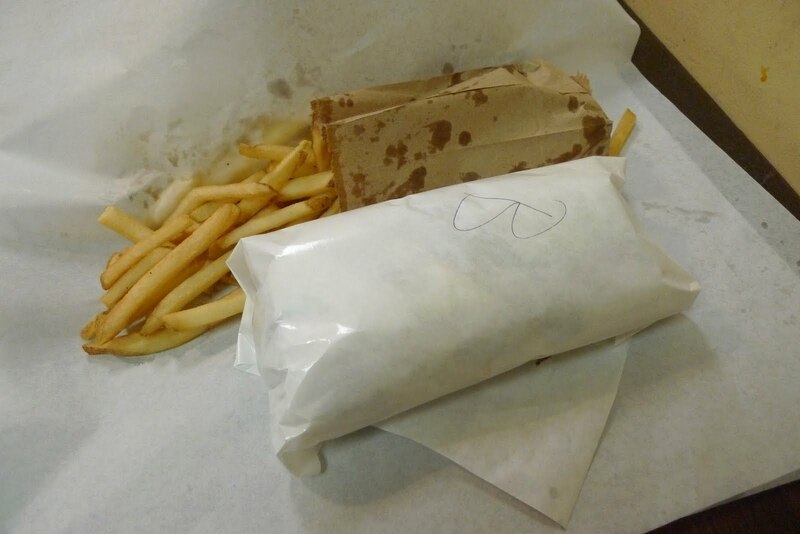 A combo came with fresh from the fryer fries and a soda. 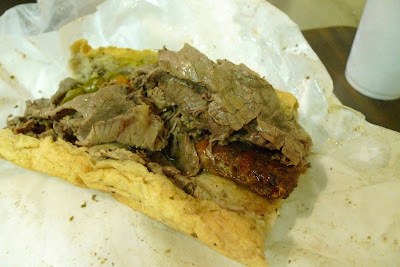 Here is my Italian Beef sandwich with hot and sweet peppers. Hot peppers means giardiniera, while sweet peppers just refer to roasted green bell peppers. I was expecting to see banana peppers or pepperoncinis, but no, these were just bell peppers. They don't really add any zing or sweetness to the sandwich, but I guess it's an added textural element. Here's Jung's Italian Beef and Sausage Sandwich, a bonafide meat-fest. Normally I am not a big fan of soggy bread, but for some reason it works. You get more of the beef essence when the bread is dipped and surprisingly the bread stays in tact. this looks yummy. al's italian beef had more red pepper flakes or something than this place.